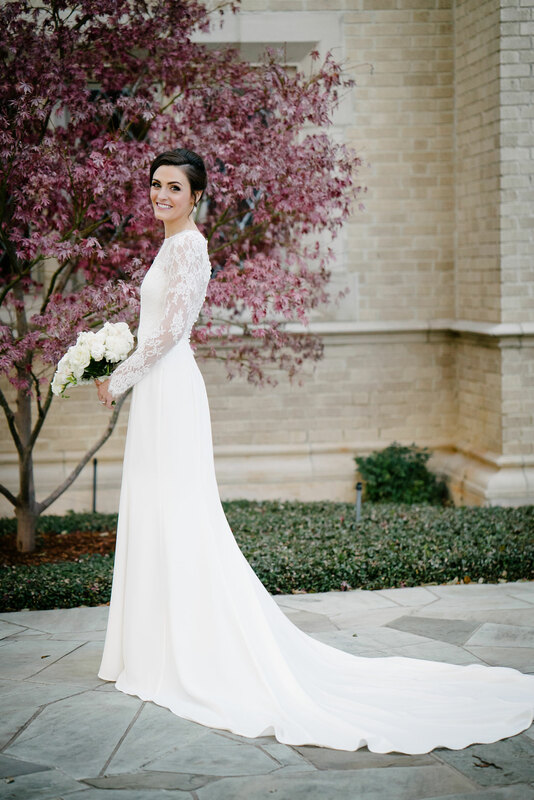 Take a look at these gowns perfect for fall and winter weddings! 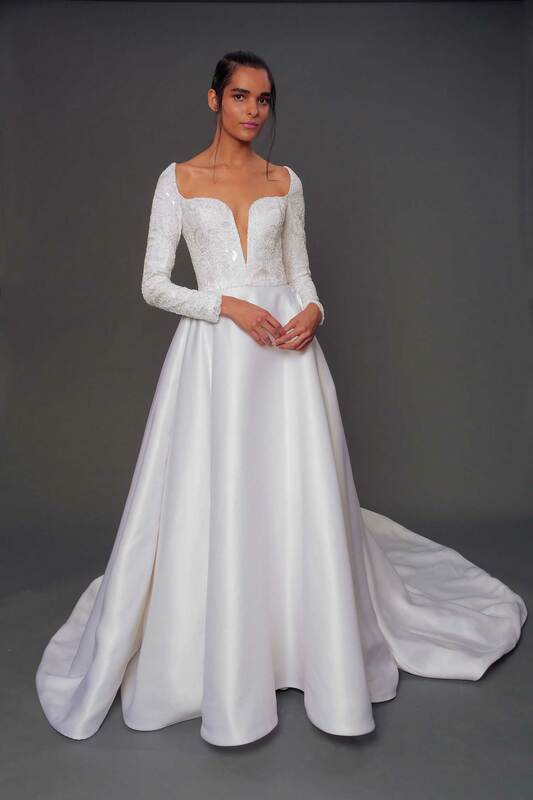 Many brides hosting their nuptials in the fall or winter months may choose to fit the seasons and don a long-sleeved wedding dress for the occasion. Especially if you'll be hosting your wedding outdoors – in a warmer climate that still has some chill in the air – or traveling from the ceremony site to the reception venue in a colder locale, being comfortable in a warmer bridal gown can be of the utmost importance. 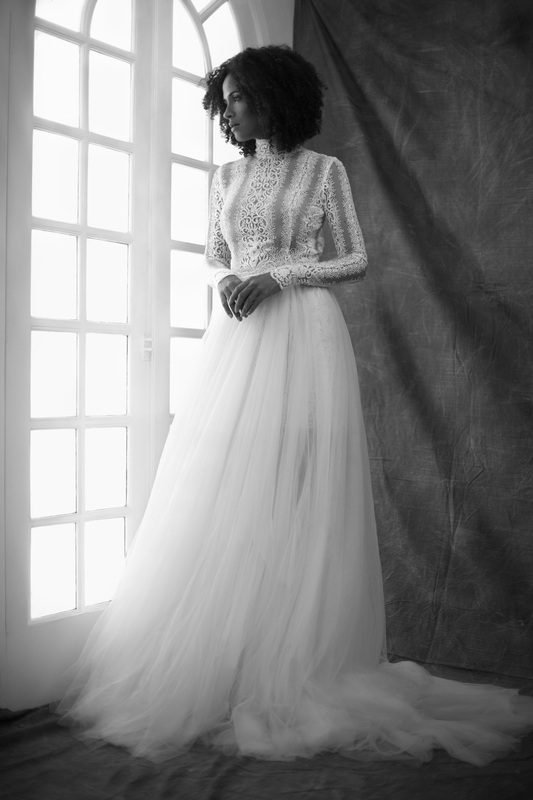 Thankfully, there are plenty of on-trend wedding dresses showcasing beautiful long sleeves from the latest bridal collections to choose from. 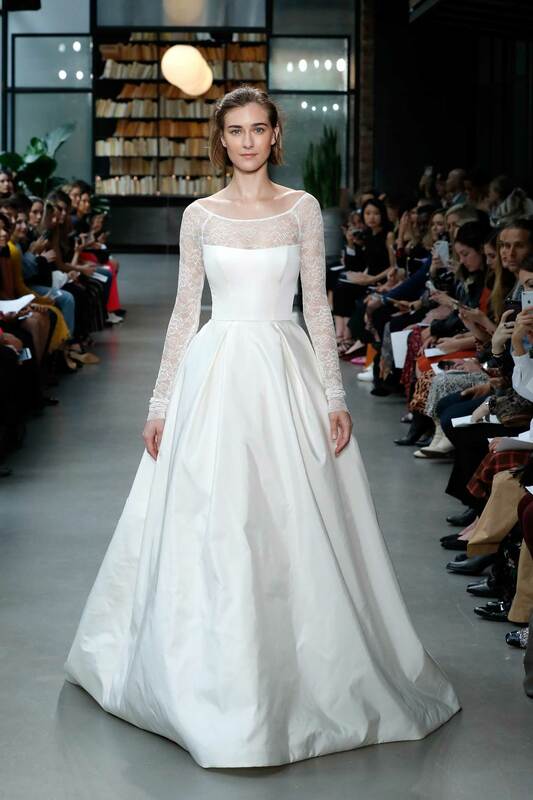 We've gathered an array of stylish ensembles from the fall 2019 bridal collections that hit the runway in October. 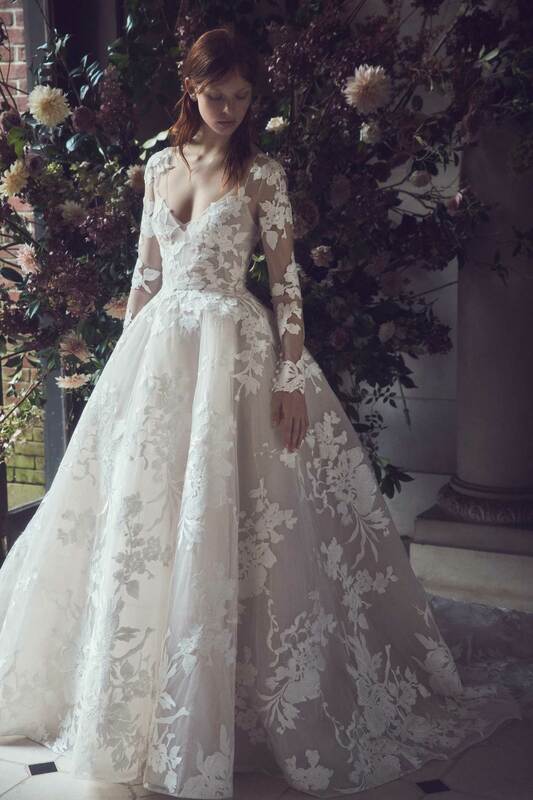 From traditional silhouettes with plenty of coverage, to form-fitting gowns with sheer or illusion long sleeves, to a three-quarter-sleeve option, you'll find a wedding dress style that will inspire your bridal look. 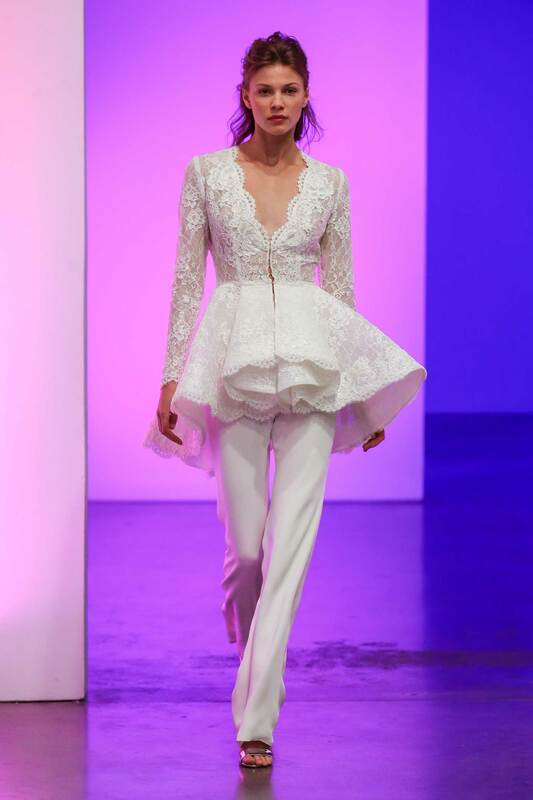 From this collection of gowns, you’ll find structured styles, a chic jumpsuit, and frocks with voluminous skirts featuring both high-neck bodices and plunging V-necklines. 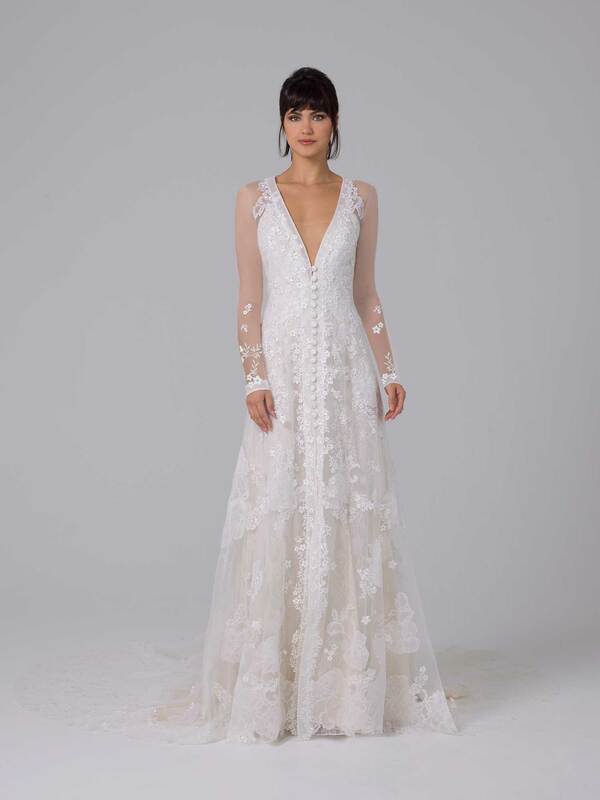 Even if you've always envisioned yourself in a strapless bridal gown with a sweetheart neckline, we encourage you to try on a sleeved option while shopping for wedding dresses just in case! Oftentimes the gown you've always dreamed of isn't the same style you'll choose to wear on the big day. Keep your options open, and be sure to select a style that you feel great in, fits the formality of your wedding venue, and will fit with the style and season of your celebration. 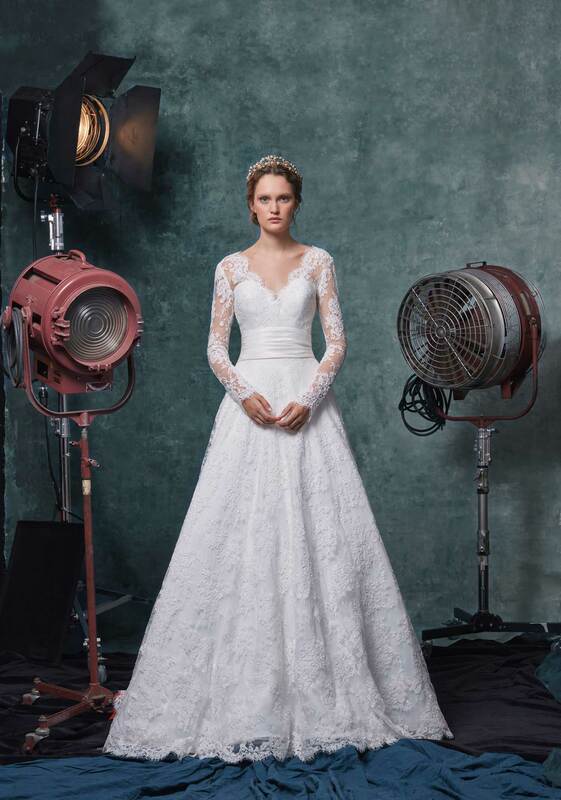 Take a look at 17 long-sleeved wedding dresses below to inspire your fall or winter nuptials! Discover more bridal gown collections here, and browse the wedding dresses worn by real brides in our photo galleries.